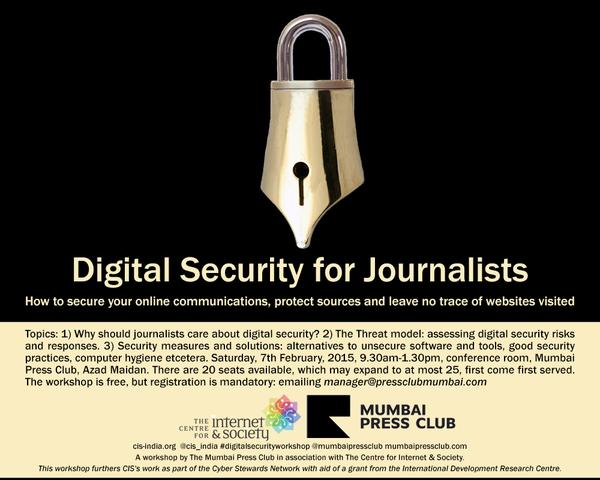 The Centre for Internet and Society and the Mumbai Press Club are jointly organizing a workshop for journalists on February 7, 2015, from 9.30 a.m. to 1.30 p.m. at Mumbai Press Club, Azad Maidan. 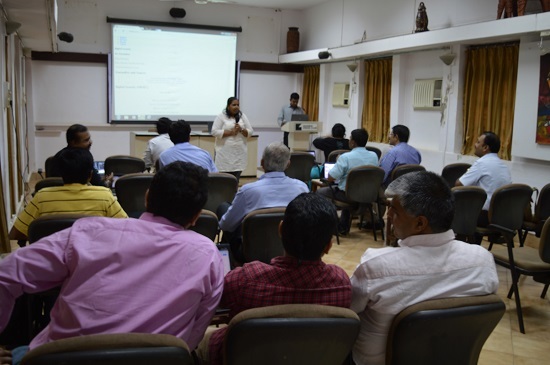 Why should journalists care about digital security? The threat model: assessing digital security risks and responses. Security measures and solutions: alternatives to unsecure software and tools, good security practices, computer hygiene etcetera.